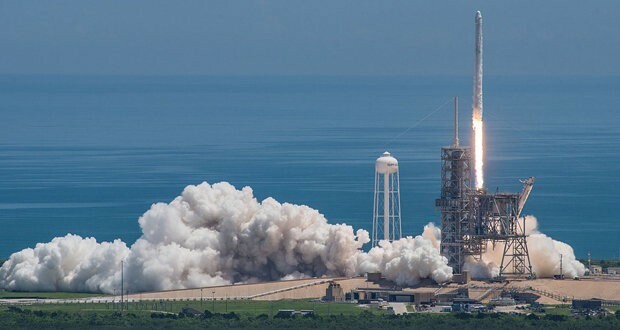 SpaceX efforts in space exploration are supported by ACMA (American Composites Manufacturers Association). Thus, the Falcon Heavy’s use of composites extends beyond just the fairing. The interstage, which connects the upper and lower stages of the rockets, is a composite structure with an aluminum honeycomb core and carbon fiber face sheets. We have described Mid-Mountain Materials, Inc. before, this company produces basalt fiber based thermal insulation for aerospace solutions. Also, international research group developed self-healing fiber-reinforced composites for sub-zero temperatures in space application.